The mission of the Milton Public Library is “to promote the love of reading, to make accessible the diversity of human culture and learning, to be a resource for the community’s research and information needs and to do all of this in a way that returns value for the community’s investment”. The Milton Library Foundation’s mission is to insure the financial viability of the Library even in challenging times. Additionally the Foundation provides funding above and beyond the Town’s ability in order to expand collections, enhance access and services, invest in new technology and ensure that our community will benefit from a vibrant library today as well as in the future. The Milton Library Foundation, a 501 (c)(3), was established by library loving community members including several Library Trustees in 2002, in the livingroom of library enthusiasts Marvin and Andrea Gordon. The initial goal of the Foundation was to raise millions of dollars in private funds and grants to help pay for the Milton Public Library Restoration and Renovation Project, a plan to update and restore the magnificent but neglected Milton Public Library, originally built in 1904. 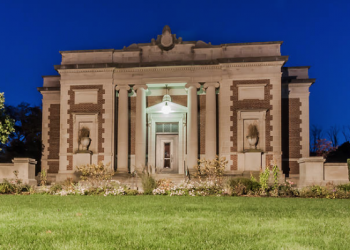 The Foundation surpassed its initial fundraising and “friendraising” goals and the beautiful, newly restored and renovated Milton Public Library opened to the public in 2009. The Milton Library has since become the hub of cultural and community life in Milton and has exceeded all expectations in circulation and visitor numbers. The Foundation continues to be the main private fund raising vehicle for the Library. Working in partnership with the two other library support organizations, the elected municipal Board of Library Trustees and the volunteer Friends of the Milton Library, the Foundation encourages private philanthropy on behalf of the Milton Library. This strong public/private partnership builds support for the financial health of the Library as well as funding important special projects that would not fit within the Library’s general operating budget. In recent years The Milton Library Foundation has provided the funding for the new Library website, enhanced technology for the Teen Room, and supported individual librarian’s projects through the Small Grants Program. Current funding priorities include enhancing the audio/visual tools available in the library meeting rooms to provide up to date interactive tools as well as enhancing the audio and video presentations for the Keys Community Room. With the help of generous Individuals, Foundations, Families and Corporate Donors, The Milton Library Foundation will continue to provide the financial support which will allow the Library to continue its outstanding services to our community, enhance future library services and support life-long learning. The Foundation is very grateful to the hundreds of donors of all ages and backgrounds who support the work of the Foundation, whether by sponsoring and attending a Foundation event, responding to an appeal letter and/or by remembering The Milton Library Foundation as they consider how to best distribute their estate assets. Thank you for your interest in and support for the work of The Milton Library Foundation.